Darryle Douglas, the alleged Zeek Rewards’ insider whose arrest was ordered last month, is still wanted by the U.S. Marshals Service. The spokesman declined to say more. Douglas resides in Orange County, Calif., according to court filings. The Marshals Service has nationwide jurisdiction. Whether Douglas remains in California or is elsewhere is unclear. Senior U.S. District Judge Graham C. Mullen of the Western District of North Carolina ordered his arrest on Dec. 10. Mullen specifically found that Douglas had violated a court order in a civil case and that the Zeek receivership had suffered harm as a result of the conduct of Douglas. Kenneth D. Bell is the receiver. 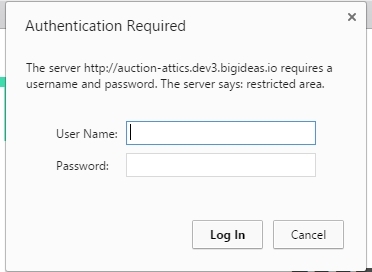 Douglas may have gravitated to an emerging scheme known as Auction Attics, with the aim of targeting Zeekers all over again. He has not complied with an order to surrender the Zeek database and other information. Zeek was alleged by the SEC to have been a Ponzi- and pyramid scheme that gathered more than $850 million. Auction Attics has a similar theme. I have been checking with the Orange County Sheriff’s Office (merged with the US Marshal’s office) since the judge ordered his arrest warrant order, and nothing is showing on file. I also talked to a Deputy and he said the arrest warrant has not been received by them. I checked again today and still nothing in their system regarding his arrest warrant. Seemed rather odd to me that it has not shown up in their system since it wss ordered on Dec 10. And he is definitely not in custody here in Orange County. Maybe receiver is still trying to work out a deal? Douglas had been hiding out for a whole year before resurfacing. I doubt he can so easily disappear again.